Following in the steps of Chicago, Seattle, New York City and California, Montgomery County, Maryland recently became the first county in the U.S. to pass an energy benchmarking law. Montgomery County may have been inspired by its neighboring city, Washington, D.C., which was an early mover on energy benchmarking disclosure regulations. The law was part of nine energy bills covering issues from LED street lighting and EV charging station permits to solar permits and telecommuting. The new rule is similar to many of the ones enacted in other jurisdictions, in that it requires county-owned buildings to lead the way and benchmark by June 1, 2015. Commercial buildings have more time to come on board, with buildings greater than 250,000 square feet in size having to comply by December 2016; buildings greater than 50,000 square feet in size have another year after that to comply. There are about 1 million people in Montgomery County. As a part of both the Washington, D.C. and Baltimore metro areas, the county has many large buildings. Discovery Communications, GEICO and Marriott are some of the large corporations headquartered there. “My hope is that this benchmarking bill, when paired with our recently passed commercial PACE program, will bring about significant private investment and good green jobs in our commercial building sector for energy efficiency improvements,” bill sponsor and council member Roger Berliner said in a statement. Like laws in place in New York, Minneapolis and Chicago, the Montgomery County legislation requires public disclosure of the scores, a practice that seems to be gaining ground after some earlier bills did not include that measure. In a unique move, Montgomery County also passed a bill that allows commercial property-assessed clean energy projects at the same time that it required benchmarking. PACE allows investments in energy-efficiency retrofits and distributed renewable generation to be paid back through a tax that is tied to the property, which lowers the risk for both lenders and owners and can potentially open up a far larger swath of the energy efficiency market. Research has found that just the act of energy benchmarking can save about 7 percent of energy use in buildings over a three-year period, but getting to further reductions often requires action beyond tackling the lowest-hanging fruit. By the time that Montgomery County commercial buildings larger than 50,000 square feet will need to file benchmarking scores in the next few years, a robust PACE program could potentially already be in place, creating a natural synergy for building owners looking to take the next step toward energy efficiency retrofits. Although cities will likely still lead in energy benchmarking in the near term, PACE has already been adopted by multiple counties across the country, and the combination of the two could become more popular as time goes on. Thank Katherine for the Post! 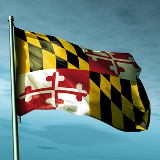 Can solar developers in Maryland effectively market their projects and address potential site selection opposition as a community solar pilot program unfolds? This article provides a nice overview of the sometimes competing factors that will..
Group of marine biologists, geologists, and archaeologists will join Deepwater Wind LLC employees in launching $5 million survey of Maryland's ocean floor this week, looking for a place to serve as foundation for Skipjack Wind Farm-- what would..
Officials with the organization Chesapeake Physicians for Social Responsibility explain their reasons for supporting the 100% Clean Renewable Energy and Equity Act pending in the Maryland General Assembly. Two points jump out in their commentary:..